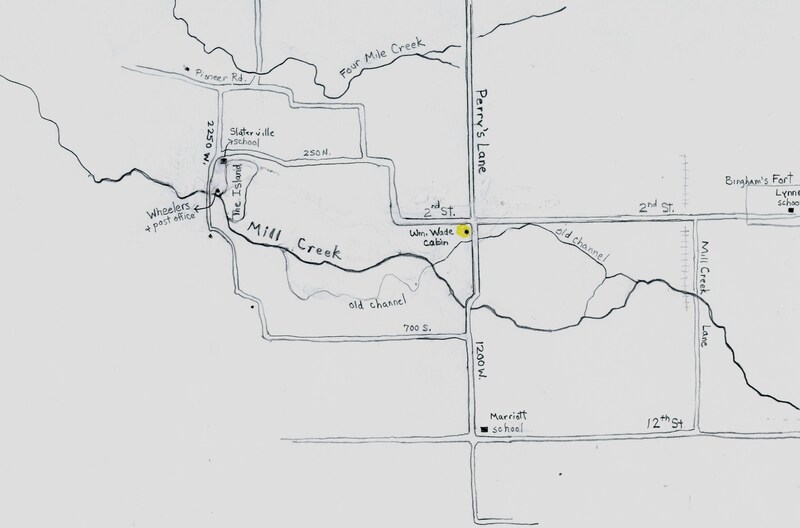 YESTERDAY: The William Wade Cabin stood for more than 125 years near 265 S. 1200 W (then called Perry’s Lane); this familiar landmark was relocated about 400 feet west in back of 287 S. 1200 West in 2007, see picture below. 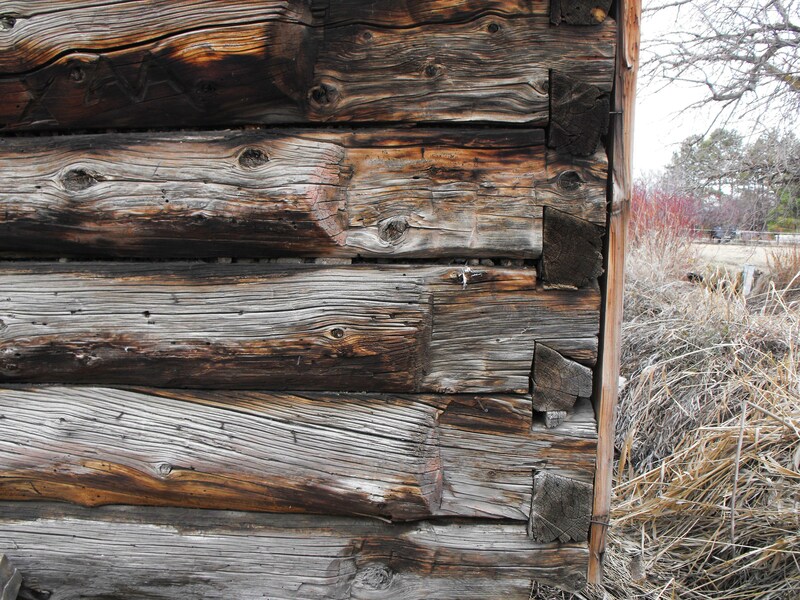 TODAY: The cabin is temporarily being stored at 287 S. 1200 W. pending restoration; photo 2011. 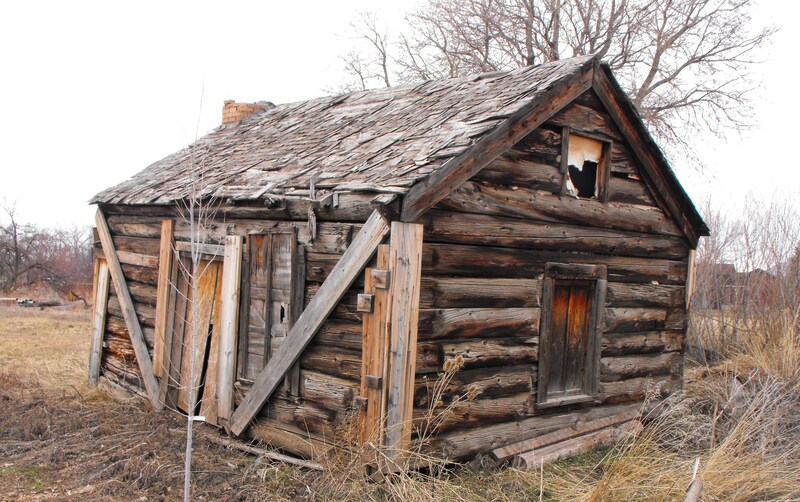 HISTORY OF THE WILLIAM WADE CABIN William Wade and his wife Sarah Asling converted to the Mormon faith in England and arrived in Utah Territory in 1869 with two children. He first farmed in Millard County moving to Slaterville in 1872 and building this log house on Perry’s Lane (1200 West). They were very proud of such a fine log house built with dove tail notches. Dove tail notches; photo 2011. The Wades had a son, William A. Wade, who married in 1875 and is listed as a druggist in Ogden in the 1880 census. The Wade’s daughter Jeanette Wade married John F. Allred in December 1883. Jeanette and John moved the William Wade cabin about 100 feet to the south where it stood for the next 125 years; John Allred built a new house at 265 South 1200 West where the cabin was first situated. William and Sarah Wade returned to Millard County. Over the following years the log house was used as a play house for the Allred children and for storage. William Wade cabin on 1880s sketch. Fred W. Allred letter to June Meyerhoffer, 10 June 1988.